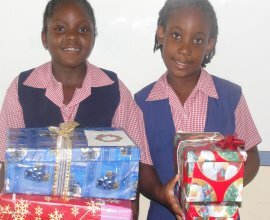 In 2009 United Caribbean Trust (UCT) embarked on its final 'Make Jesus Smile' Barbados Christmas shoebox project. 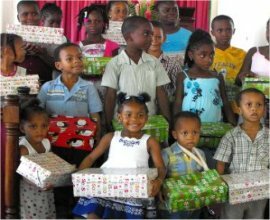 Sunday schools, Primary and Secondary schools of Barbados all got involved in this Christmas initiative enabling us to send 2,500 shoeboxes to Haiti. Now following hurricane Maria UCT is relaunching this initiative calling it 'Love Gifts' for Dominica. 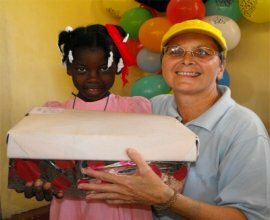 Shoebox distribution in Haiti 2009! 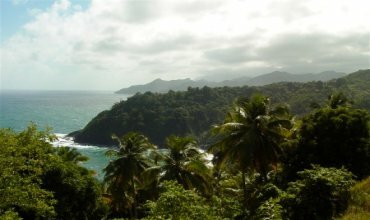 Caribs now live in eight villages within the 3,700 acres of land on the east coast of Dominica known as the ‘Carib Territory’. 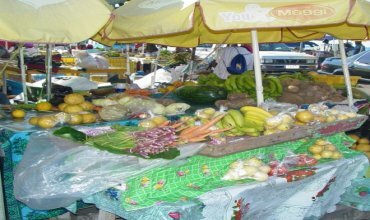 Government officially opened the Kalinago Barana Auté (Carib Cultural Village by the Sea) in the Carib territory on Tuesday February 22, 2006. 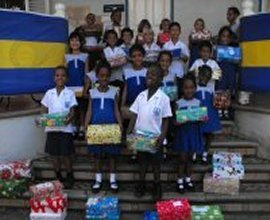 United Caribbean Trust will be returning, God willing, to the Carib Territory this Christmas with our Love Gifts from the children of Barbados. 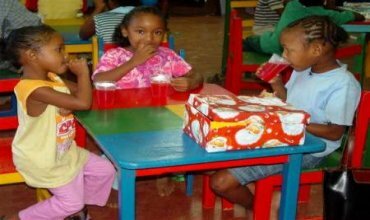 We are hoping to be able to host numerous 'Love Gift' Parties around the island not only sharing the gifts from the children of Barbados but about the Gift that God has for the children of Dominica. 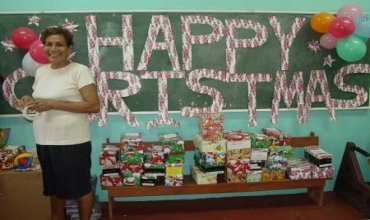 Utilizing the Love Package children's curriculum as a discipleship tool to establish 'Love Gift Clubs' sharing the Love of God with these children.